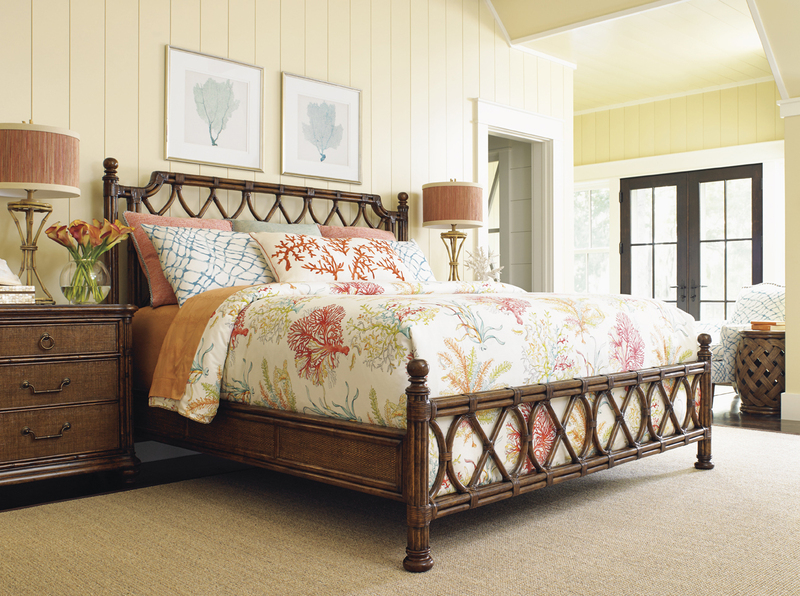 The Island Breeze Rattan Bed features leather wrapped bent rattan panels and woven rattan on the side rails, and is available in Queen, King, or California King. In addition, the headboard only option is ideal for smaller rooms or second homes, and the twin headboard, for the children or guest quarters. Be sure to purchase the proper deluxe metal frame to ensure a safe sleeping environment. Sojourn Nightstand, features three drawers with woven raffia fronts, carved bamboo posts with leather wrapped pencil rattan accents and classic bun feet. One of three nightstands in the collection.